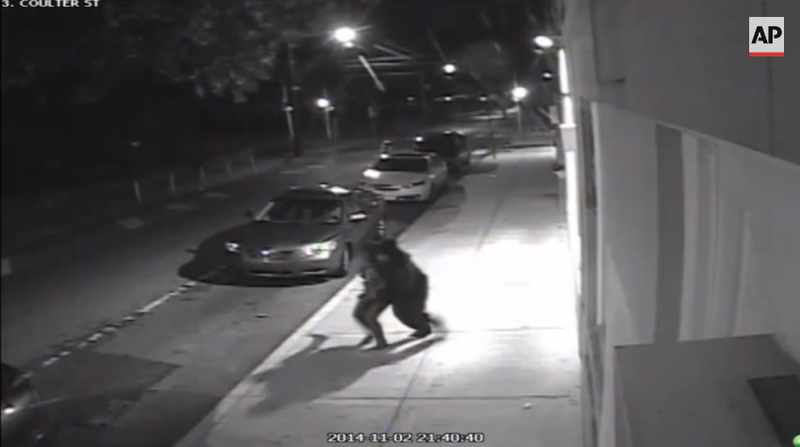 Philadelphia kidnap victim found: Carlesha Freeland-Gaither safe, kidnapper captured. Carlesha Freeland-Gaither, the Philadelphia 22-year-old whose kidnapping was captured on video by a surveillance camera, has been rescued in Maryland after authorities tracked her alleged assailant using a GPS system that was installed in his car because he had bad credit and the dealer feared the car would eventually have to be repossessed. Authorities began tracking his gray Ford Taurus through a GPS device placed inside the vehicle by the car dealership where it was purchased, detectives said. The GPS was installed because Barnes had poor credit, officials said. Agents honed in on his location, in a shopping center parking lot, and moved in to strike. “He was more surprised than anything,” ATF agent Tim Jones said of the arrest. Barnes and the victim were in the backseat of the car when agents arrived, but he quickly jumped into the driver’s seat to try and flee, Jones said. Agents blocked his way and took him into custody. Freeland-Gaither was taken to a hospital for treatment but has already been released and is back home with her family.